The RPMC-218 RPA Elite Custom Projector Mount with Keyed Locking from Chief is an inverted ceiling mount equipped for digital projectors. It features a quick connect/disconnect system provides easy access to the projector lamp and filter, even allowing the projector to maintain registration when disconnected. You'll be able to perform roll, pitch, and yaw adjustments, ensuring that you'll be able to project a properly registered image on the screen of your choice. 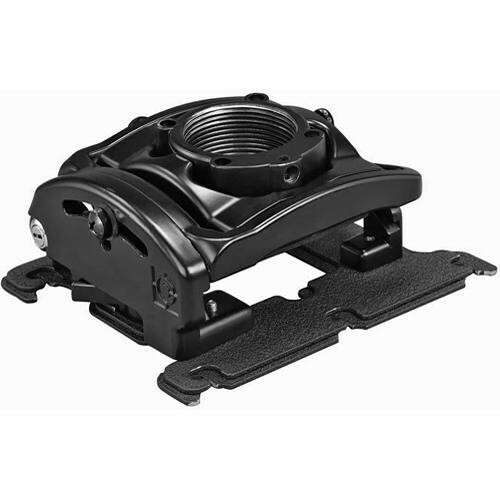 The mount is capable of holding projectors up to 50 pounds in weight. An integrated cable management system and All-Points Security round out the mount's impressive feature list.